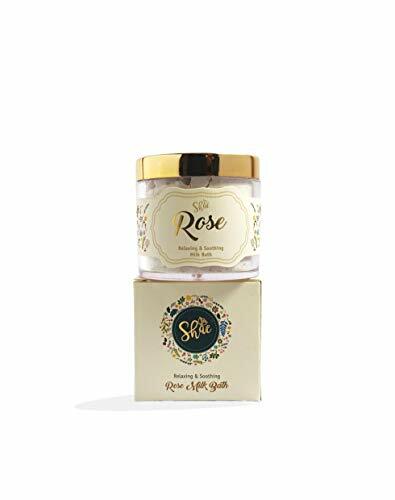 The natural Himalayan pink salt in this luxurious milk bath soak relaxes and rejuvenates the muscles and the coconut milk and rose essential oil deeply hydrates and tone the skin. A perfect Mother's day gift. View More In Bath Additives. If you have any questions about this product by Magenta Pie Co, contact us by completing and submitting the form below. If you are looking for a specif part number, please include it with your message. Pregnancy Gift - Congratulations Gift For Mom to Be Maternity Gift Pregnant Friend, Daughter, Sister Gift Set Newly Expecting Pregnancy Gift by Elder N Honey Co.
By Elder N Honey Co.
Bath Bomb Gift Set - 5 Pack Essential Oil Bath Bomb Set - Large 4.5 oz, 2.5 inch by Crazy Mama's Soaps and More Gift Box with packing - Handmade in Colorado. Fizzing Bath Salt in Glass Jar with Attached Wood Spoon for Effervescent Bath Soak, 8 oz.